China Drum were a britrock/powerpop/punkish band that hailed from Northumberland (Ovingham-upon-Tyne to be more accurate!) and released a trio of albums at the end of the 90s, never quite reaching the mainstream despite the novelty success of their tremendous superspeedy cover of Kate Bush's Wuthering Heights. They formed in 1989, but it would take a number of years of touring and releasing singles (the first being the self pressed Simple in 1993) on their own, as well as the support of DJs like Steve Lamacq and John Peel, before they were signed by the American branch of MCA in 1996. Their first important release was 1996's Barrier EP. This was soon followed that same year by their debut album proper, the excellent Goosefair. After being dropped by MCA and signed by Beggars Banquet in the UK, this was followed in 1998 by Self Made Maniac, and in 2000 their final album Diskin' (by this time they were known as 'The Drum' and were heading in a short lived electro influenced direction). I sadly only got a chance to see them in the last year of their existence, by whiich point a lot of their fanbase had deserted them for warmer pastures, and a small turnout led to a rather stilted performance of the admittedly not too bad Diskin' material. Their early live shows were pretty legendary, and it's a shame that some of the wonderful singles they released were so quickly forgotten. Like Symposium or Kerbdog, they were one of those perfect British bands for teenagers (before that meant the Lost Prophets). Happy, more innocent days folks! Here's a few tracks I had floating about (can't seem to find any of my records at the moment). Hope you like 'em. Second time in a week (after Lift To Experience) you've managed to feature a band I love despite the public at large ignoring them. 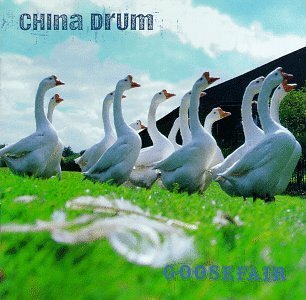 I've been listening to 'Goosefair' quite a lot recently after finding it again by accident, and it is consistently wonderful from start to finish. Hats off to you Mr Summers. could you possibly upload an mp3 of their cover of 'wuthering heights'? please please please?